Methadone is a synthetic analgesic that causes sedation and relaxation. Methadone generally is used in the aid of treating narcotic addiction, including heroin, morphine, hydrocodone, fentanyl, vicodin, oxycodone, codeine and benzodiazepines. Methadone also might be used to treat illicit drug addiction, such as LSD, PCP and cocaine. If you are seeking treatment for drug use and methadone is being used to help with the detoxification process, there are some foods you should avoid. If you are detoxing from a serious drug addiction, your doctor might recommend inpatient rehabilitation. Inpatient treatment requires close medical supervision while you go through the detox process. One drug that will be used to help you with pain and withdrawal symptoms is methadone. Your doctor will likely restrict your intake of grapefruit or grapefruit juice while you are taking methadone. Grapefruit can inhibit your enzyme system, causing fluctuations and serious side effects that could interfere with treatment, explains Robbins Headache Clinic. If you take methadone at home, be sure to speak to your doctor and pharmacist about this interaction. Foods that are high in calories and with added preservatives should be avoided during treatment. Stay away from packaged foods and foods that contain empty calories. Substitute quick, processed foods with whole grains such as oatmeal, bulgur wheat, brown rice and cornmeal. Select low-fat dairy foods including yogurt, skim milk and cottage cheese. Protein can include lean beef and turkey, lamb, fish, nuts and seeds. Include generous amounts of fruit and vegetables in every meal. Most oral doses of methadone contain sugar. If you are diabetic or watching your blood sugar levels, your doctor might prescribe a sugar-free alternative such as methadone hydrochloride. In some cases, if you are addicted to drugs such as opiates, the sweetness from the methadone syrup can make you crave sugary substances, explains the World Health Organization reports. Many drug users have poor dental care and taking long-term doses of methadone can worsen or prevent improvement of oral health. Avoid foods that contain caffeine, such as chocolate. Caffeine is a natural stimulant and as your body is detoxing, you are numbing cravings and pain with methadone. Food that contains stimulants and sugar can put a halt on your treatment plan. Chocolate contains only small amounts of caffeine but can still interfere with treatment, especially in large amounts. 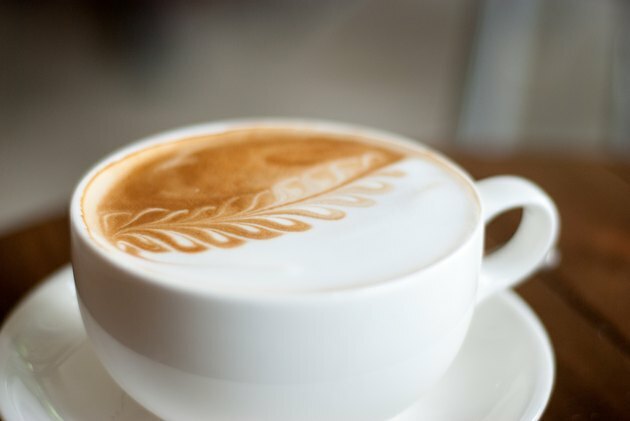 Drinks or recipes made with coffee also might contain hidden amounts of caffeine and should be avoided.